The report and presentation focuses the effect of RotoSub noise reduction when integrating RotoSub enabled fans in an applications with near field turbulence. The presentation will be held at 10:20 on Monday, August 20, in room "Booth" on floor 5. 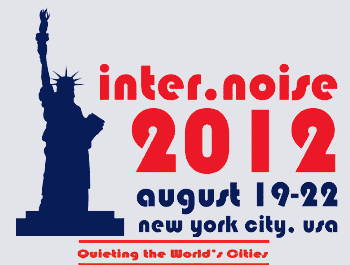 The Congress is organized by the The Institute of Noise Control Engineering of the United States of America (INCE/USA) and is sponsored by the International Institute of Noise Control Engineering (I-INCE) and the Noise Control and Acoustics Division (NCAD) of ASME (American Society of Mechanical Engineers).